Rep. Mike Kelly wants to talk. Do you? 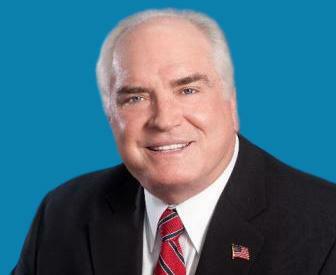 Congressman Mike Kelly will visit Erie this Saturday as part of his Inaugural Town Hall Series. Kelly, the freshman republican representative for the third district of Pennsylvania, will address Erie residents in the H. O. Hirt Auditorium of the Blasco Library from 10 to 11:30 a.m. In a press release issued Feb. 7, Kelly stated: "One of my biggest priorities is to be available to the people I've been elected to serve. I can't lead without listening, and I encourage people to come to the town hall meetings, meet me and my staff, ask questions, share concerns, and come together as a community to help address the issues and challenges faced by our district and nation." Kelly plans to give a brief presentation, after which, constituents will be able to fulfill Kelly's request by asking questions and offering comments. Kelly, a Butler native, defeated Freshman Democratic Representative Kathy Dahlkemper by 10.2 percent in his 2010 U.S. Congressional campaign. Since taking office, Kelly has begun serving on the Committee on Oversight and Government Reform, the Education and Workforce Committee and the Foreign Affairs Committee. He now serves as the vice-chair of the Oversight and Reform Committee and is a member of the Pro-Life Caucus. During his brief time in office, Kelly has been outspoken against big government and has been critical of President Barack Obama's healthcare reform bill otherwise known as Obamacare, something he voted to repeal last month. In addition to his stop in Erie, Kelly will give his presentation in Butler at the Butler Township Building from 2:30 to 4 p.m. and will visit Mercy County Town Hall. Kelly has yet to set a time for his Mercer stop. With congressional staff on site to supply information about district resources and constituent services, the questions left to be asked are: Who will attend the event and what will Rep. Kelly be asked of his service thus far as well as his plans for the area in the future?